In the past month or so I thought I'd purchased afew nice products but so far I have found myself far from loving them for one reason or another. So here is a little run down of the products and why I just can't get into them like I'd hoped! Now I did buy this in TK Maxx for a mere £3 but I was technically buying a product that some people will have paid the full price of £21 for in John Lewis or Philosophy online. So I was expecting a good quality item. But the problem is even though the scent is lovely it just doesn't last on the skin! As you can see I have already used about a quarter, so around 25ml and I only purchased it towards the end of January. I just have to use so much for it to last even half an hour and of course as the bottle is so big I can't carry it around me with. I totally got sucked in when last in Debenhams and bought a set of six novelty sweet lip balms - think Refreshers, Rainbow Drops and Drumstick lollies. Now they weren't even that cheap, I think around £9 or so. But they are such rubbish quality! The texture of them is really hard and just not that scented....just not nice at all. Also all the labels are starting to peel off which annoys me no end. Think from now on to feed my addiction for lip balms I will have to stick to eBay and buy some nice, fun American ones - like my yummy Mrs. Fields 'Chew Fudge' that tastes amazing and is so soft. I had such high hopes for this foundation, but clearly it wasn't meant to be! Firstly as you can see this is too dark for my skin tone and looks more like sand against my fair skin. With 13 shades in the range - Ivory being the lightest, I wasn't impressed that this is what Maybelline think is Ivory. As for the texture I strangely liked it alot but to be honest it's just abit of a gimmick as it doesn't of course look all mousse or fluffy like on the skin (not like you would want it to) it just applies quite powdery and not that amazing. I know that alot of people really like this high street foundation but for some reason it just doesn't look all that great on my skin. All in all just one big waste of £7.20. Now L'Occitane do the normally sell the Cherry Blossom scented perfume at £6.50 for 10ml in a little round tin but the day I bought this I must of been feeling a bit unwell as I strangely bought one with less product in for £7.00 just because it was in a nice heart shaped tin. Now I love the scent of L'Occintane's Cherry Blossom...it's just so perfect and light, nothing to sweet. But I didn't fancy buying a 100ml bottle of it so I thought I'd just spend afew pounds on a great travel sized one. But the problem again is with the longevity of the scent, well I think it's more to do with the formula..it's too hard and if your finger isn't warm enough or the product is cold it is so difficult to get any of the scent onto your finger to apply to the pulse points. Which results in the scent not last long at all. It's times like these that I so miss The Body Shops Perfume Oils that have been stupidly discontinued! Though I do have two sacred bottles still left that I will be using very sparingly this summer. Now it's not that there's anything bad about this mascara but there is nothing special about it either. I'm just not that impressed and sadly it won't be going into my daily makeup bag like I hoped it would of. I really cannot help but compare it to No7's last Exceptional Definition mascara that I really do rate. The brush was excellently designed and is definitely worth it's £12.50 price tag and I assure you, you won't hear me saying that very often! It was just a really well thought out mascara that lived up to mine and alot of other customers expectations. But the Exquisite Curl is just abit bland and not that amazing at giving a nice curl to my lashes. The process of writing about all the products I've been disappointed with over the last month or so has actually been quite cleansing for the soul - I highly recommend it! Feel free to share your own rubbish products with me. <3 the post, I was really disappointed in the Vaseline cocoa butter stick, it just gave me really dry lips and dry skin on my lips, it tasted disgusting too and the lid kept coming off, the tinned one is brill though! As a lip balm addict I can totally relate to the disappointment of getting a bad batch of lip balms! I absolutely HATED the Palmers cocoa butter ones, I tried both the squeezy tube and the stick. Awful awful lip balms. If you are looking for some lovely ones you should really check out Supersmoocher - they sell some very fun flavoured ones, I particularly love the Crazy Rumours! That's a shame - I LOVE the Philosophy spray! 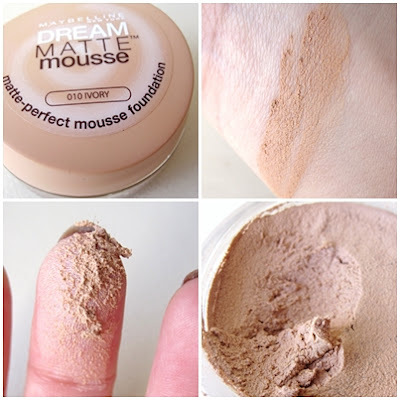 I remember when I 'tried' to like foundations and tried Dream mousse but Yep It was the lightest shade and it looked really orange and dark..not too mention quite heavy feeling. I'll now only ever wear mineral foundation. I love the original L'occitane cherry blossom fragrance it smells so yummy! Oh and i have some body shop oils here, im not sure if they are DC where i am...i think the strawberry one and it's so sad. I have the coconut and vanilla, i love them. Fab post idea! I thought about trying that foundation for a while but was put off by how dark the testers were. So many brands (high end and high street) just don't cater for skin that doesn't sit somewhere in the middle. philosophy skincare products just completely disagree with my skin. i've heard so many people RAVE about them but i can never see why. All of my friends rave about Maybelline's Dream Matte Mousse, but I just don't see the appeal! After buying it to try and see what all the fuss was about, I just found it very blah. Even the lightest shade was still too dark for my skin tone! Yes, it was incredibly easy to apply, but after an hour it had started to slide off my T-zone and highlighted my drier areas, and it didn't cover spots and red marks as well as I'd hoped it would. I'm so disappointed that the novelty lip balm set wasn't better quality, I love Drumstick lollipops and a flavoured lipbalm would have been delicious! i have the maybelline dream mousse blusher which i love, but i agree with you on the foundation - i didn't like it either. I used the Dream Matte mousse foundation when I was at school, everyone did! It was one of my first foundations and it took me a while to realise just how rubbish it was..! I love the No7 mascara for everyday though. I enjoy reading this type of post! It's not always rainbows and butterflies, but someone people only post the positive! Thanks for keeping it real! I had the same problem with Maybelline Dream Matte Mousse in Ivory, i buy the palest shade in all foundations and honestly their shade Cameo which is the second palest is much better! Ivory has too much of a yellow under tone to it for fair skin. it did dry my skin out though and i do have oily/combination skin. I'm always keeping my eyes open in T.k Max hoping to find some of philosophys goodies!